Barry Murphy; Simon Madden, Kevin Toner, Lee Desmond, Ian Bermingham; Jamie Lennon; Darragh Markey, Ryan Brennan; Conan Byrne (Graham Kelly, 90+4), Jake Keegan (Thomas Byrne 78), Dean Clarke. Shane Supple; Keith Buckley, Rob Cornwall, Ian Morris, Darragh Leahy; Dan Byrne (Oscar Brennan 77); Paddy Kavanagh (Kevin Devaney 70), JJ Lunney (Eoghan Stokes h-t), Dylan Watts, Keith Ward; Dinny Corcoran. 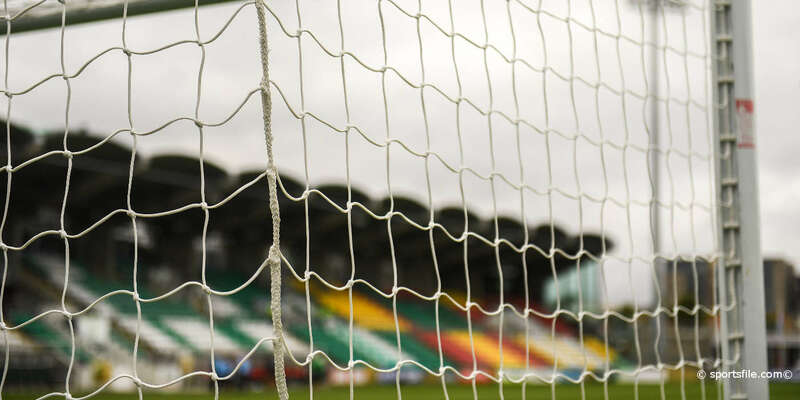 Substitute Kevin Devaney scored a dramatic stoppage time equaliser as Bohemians came from 2-0 down against 10-man St Patrick's Athletic to salvage a point from a rip-roaring Dublin derby in the SSE Airtricity League Premier Division at Richmond Park. 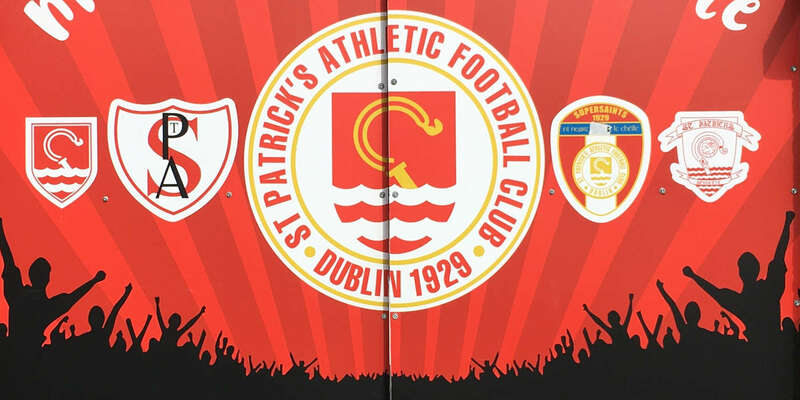 After a win over high-flying Waterford and a draw at Sligo Rovers, the in-from Inchicore side started with purpose in the bright sunshine and were rewarded with the lead goal just three minutes in. Dean Clarke whipped a cross in from left and Jake Keegan lost his marker with a darting run to the near post to flick the ball into the far corner. Looking a little uncertain at the back, Bohemians' defence was stretched again six minutes later. Simon Madden got forward on the right, worked a one-two with Darragh Markey to cross. Clarke rose well to make the header, though directed it too close to Shane Supple who saved comfortably. Bohemians responded only to waste a promising opening within a minute. Lone striker Dinny Corcoran laid off Keith Ward's pass to JJ Lunney with the midfielder to scuffing his shot tamely wide. From being close to equalising, Bohs had skipper Supple to thank for not being two goals down eight minutes later. A stray pass from Gypsies' left-back Darragh Leahy was well read by Saints' Darragh Markey who put Keegan in on goal with a perfectly weighted through ball. Supple was off his line promptly, narrowing the angle well to make a big save with his feet. Dylan Watts and Corcoran had half chances before Ward then burst forward through the middle to rifle a shot wide on 37 minutes as Bohemians enjoyed their best spell of the first half. It mattered not as St Pat's began the second half as they did the first, doubling their lead two minutes after the restart. Conan Byrne flighted a corner to the back post where central defender Kevin Toner met the ball with a powerful downward header to see the ball deflected to the net off Keegan's leg, through the striker knew little about it. Bohemians were thrown a lifeline five minutes later when St Pat's were controversially reduced to 10 men. Midfielder Ryan Brennan appeared to have been bundled over by Byrne in the area with St Pat's appealing for a penalty. But to the home side's consternation, referee Tomas Connolly deemed Brennan to have dived and gave him a second yellow card and promptly a red. Corcoran then got Bohs right back into the game when tapping home on 71 minutes after Saints' keeper Barry Murphy spilled Byrne's shot. Bohs lived dangerously five minutes later when first Keegan was deprived his hat-trick by a goal-line clearance before Jamie Lennon blasted wide from just outside the area. Eoghan Stokes should really levelled for Bohemians in the first minute of added time, but somehow contrived to shoot over the bar from just yards out after Leahy picked him out with a cross. But fellow substitute Devaney made no mistake in the fourth minute of stoppage time, forcing home from another Leahy delivery to the delight of the Bohemians faithful behind the goal.